Travel Tips, Offers and Money Saving Ideas for Poland! Easter in Poland is time for family. Most important fact of those days ιs the crucifixion and resurrection of Christ. Traditions in Poland are fun. A lot of food, Easter Basket and painted eggs. The families get together to eat and drink. Does Poland Use the Euro Currency? Where to change money? These are the most important questions every traveler need to know about Poland. Poland is currently in the process for adapting the Euro currency! 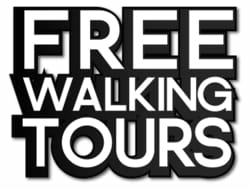 Free Walking Tours are the cheapest way to get a guided tour in Poland. These tours are made by non-licensed guides. Usually they do not require booking and they are executed on convenient hours. You can find them nearly in all the big cities of Poland. Discover the beauty of Poland in selected pictures. Amazing cities with awesome architecture and cut breathng landscapes. Discover the beautiful Poland in the lens of a camera. It is hard to accurately predict how the weather in Poland will be. We will try to provide you information so you can know around how it will be. It is important at least when going at the sea side to be a nice weather. Krakow is the formal capital of Poland. Seems to be one of the most interesting cities to discover in the whole Europe. In historical records Krakow is the main historical city of Malopolska. Rich history, amazing architecture and awesome cultural events. Check our guide on the Top to See in Krakow. In Poland the Valentine's Day or Walentynki is a day associated with love, romance and flowers and celebrated on February the 14th. Many Polish people celebrate that day even between friends!! Today is the best day to take actions!! Church of Peace, the largest wooden Protestant church inscribed on the World Heritage List of UNESCO. This magnificent timber church was erected between 1656 and 1657. Finished in just 10 months.